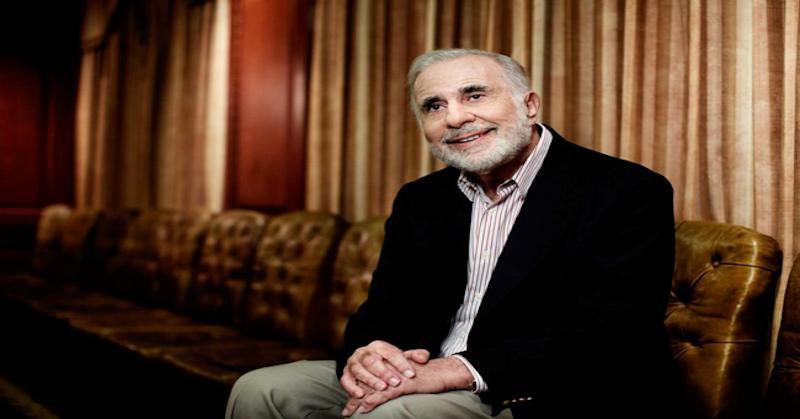 Did Carl Icahn cause the private equity bubble? Carl Icahn has been everywhere recently, taking up stakes and pushing for changes in big companies including Netflix (NFLX), Hertz (HTZ), eBay (EBAY), and Apple (AAPL). Icahn and his fellow activist investors-like Bill Ackman, David Einhorn and Dan Loeb-have changed the game in how large corporate transactions play out. In particular, they have nearly killed the private equity move of completely taking out a public company through an LBO, or leveraged buyout. (A leveraged buyout is when a company is purchased through a combination of equity and a significant amount of borrowed money, designed in a way that the company's cash flows help pay off the loan. )In the last few years, these deals have collapsed and never recovered. Even as the economy bounced back, private equity firms have not had the same ability to add public companies to their portfolio. The activists are a huge reason for that. A few years ago, a management team could strike an exclusive deal with a PE buyer, guarantee themselves golden parachutes and say goodbye in style. Now with activist investors pushing for more shareholder value, such exclusive deals have almost completely disappeared. Either the company gets put up for an auction to find the highest bidder, or the activists simply try to make the changes themselves while keeping the company public. "Activists won't let PE firms 'steal' public companies anymore," one multi-strategy investor with private equity exposure told CNBC. This golden age of activist investing has brought a five-fold increase in assets under management, increasing their muscle and hurting PE firms. Read More Hertz names Icahn-backed candidate as CEO The data is obvious. The most valuable deals are all clustered in the 2006-2007 years ... remember TXU, HCA, and Hilton? Nothing recently has come close. So what is a hungry, cash-flush PE firm to do? They have been just buying up each other's private companies, driving up a bubble in private-owned firms. This is the bubble that some investors fear-that PE shops like Blackstone, Carlyle, and Apollo are just trading their portfolio firms amongst themselves. The public companies stay public and can't get taken out. The majority of volume in recent LBO deals have been private-to-private transactions, not the usual public-to-private seen in the boom years. Consider one example of a high-priced private-to-private deal in Samson Energy. KKR paid over $7 billion for it in 2011- a record price at the time. The bonds have since collapsed to 50 cents on the dollar. This is probably why Blackstone CEO Steve Schwarzman said the M&A cycle is still in the fifth inning . There's too much cash to go around still, but five years later, will we see more companies staring at underwater holdings like Samson?